Personalise this Birthday Craft Wine Glass . 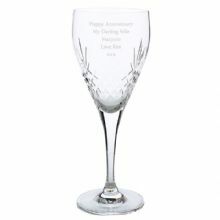 This Crystal wine glass can be engraved with any message over 5 lines. 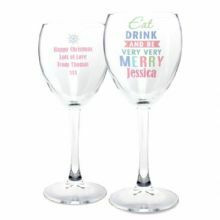 Personalise this fun Eat Drink & Be Merry Wine Glass. Availability: 3 - 5 Days for dispatch. 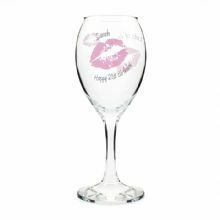 This funky wine glass features a gorgeous kiss design and can be personalised on the front. 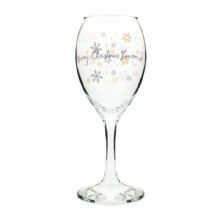 Our Snowflake Personalised Wine Glass is an ideal Christmas gift for celebrating on Christmas Day.